At WPNS we understand the importance of email campaigns. Email marketing through campaigns are an effective and affordable way to communicate directly with your prospective and existing customers instantly. We can help you setup, develop and build this side of your marketing strategy so that you can send out regular newsletters to your database whether it’s to highlight your latest offers, news or information and products and services. Specialising in Mailchimp we can help you create visually stunning and engaging email campaigns that promote your business and generate interest. We can help you setup a new email campaign using Mailchimp (free for the first 2000 list subscribers) or move your existing lists over to this new email platform. We can help you integrate Mailchimp with your existing website by adding newsletter subscribe forms so that new subscribers are added instantly to your list. 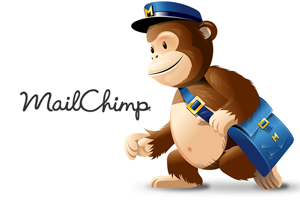 We can help you add existing email lists to your Mailchimp account. We can create multiple subscriber lists for you so that you can target specific markets or audiences with appropriate email campaigns. We can create stunning email campaigns for you so that you can get the most out of your email marketing. Our campaign designs can be saved as templates to re-use or modify at a later date and that are consistent with you company branding and website design. Track campaign analysis, statistic etc. Start building long lasting relationships with your subscribers and customers and take full advantage of this powerful sales tool. We’ll do all the technical and visual creative for you. All you need to do is supply the content!